It can be very difficult to quit cocaine, especially when you are face-to-face with cravings. But if you’re dealing with cocaine abuse issues and thinking about quitting…there is no better time than NOW! We’ll help guide you on what you can expect. More in this article on HOW TO and HOW NOT TO quit cocaine … with a section at the end for your questions. Quitting cocaine can be extremely uncomfortable and dangerous when done on your own. The intensive and complex cocaine withdrawal process requires medical supervision and care in order to get through this experience safely. But why is it so difficult to come off cocaine? What are the risks of cocaine abrupt discontinuation? We discuss these issues here and invite your comments and/or experiences with stopping cocaine in the section at the end. In fact, we try to respond personally to your real life questions. A super charged energy rush. A feeling of extreme confidence or invincibility. Talkativeness, sociability, and decreased inhibition. While cocaine has been used for therapeutic purposes as a local anesthetic in cases of eye, ear, or throat surgeries… any use of cocaine in the U.S. is considered illegal. What Makes Stopping Cocaine Hard Or Difficult? Cocaine targets the reward system within the brain called the “limbic system”. It is highly effective at making you feel good. This is why it is essential to understand that the continuing to seek feelings of pleasure over and over again will make it extremely difficult to stop using cocaine. Additionally, once a cocaine abuser develops a state called “physical dependence”, the body simply becomes automatically drawn to this substance in order to sustain normal function. This means that if you’ve been using cocaine for a while and try to stop, your body will experience withdrawal symptoms. It is these withdrawal symptoms that usually provoke relapse within the first 3-4 weeks of abstinence, as they are not only ACUTE, but tend to be PROTRACTED, lasting for weeks or months after your last use. How Exactly Does Cocaine Highjack The Brain? Let’s take a closer look at how cocaine influences reward. The brain’s reward circuit is centered deeply in the limbic system. 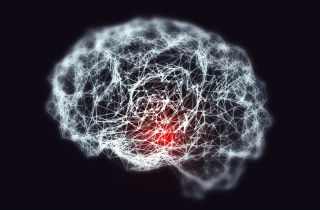 The reward circuit links together a number of brain structures that control and regulate our ability to feel pleasure. Once a person experiences pleasure the brain simply continues to seek it again, motivating us to repeat those behaviors registered as rewarding over and over again. Furthermore, as the reward circuit is activated, specific nerve sites release a number of neurotransmitters called dopamine. According to the National Institute on Drug abuse (NIDA) cocaine presence attaches to dopamine transporters and blocks the normal recycling process, resulting in a buildup of dopamine in the synapse( (the space between nerve cells), which contributes to the initial pleasurable effects of cocaine. Dopamine surges in response to natural rewards helping the brain learn and adapt to a complex world. However, drugs such as cocaine are able to hijack this process contributing to unhealthy behaviors and consequences. However, when a person takes cocaine over an extended period… the brain comes to rely on this drug to maintain the intense pleasure associated with the unnatural production of some neurotransmitters in its reward circuits. So, as cocaine users build up tolerance to this extremely addictive drug they will find very difficult to stop because of the occurrence of depression and cravings when their dopamine levels return to normal. What Makes Stopping Cocaine Dangerous? Quitting cocaine cold turkey, without a doctor’s clearance or medical supervision can be risky! Here is why these methods are NOT recommended. 1. Quitting cocaine cold turkey cocaine can be uncomfortable and provoke relapse. This method is considered unsafe, extremely uncomfortable, and brings higher chances of relapse. Additionally, you should never consider trying this method of cocaine discontinuation because of the severe intensity of withdrawal symptoms that come after stopping. As previously mentioned, cocaine produces sensations of extreme joy by causing the brain to release higher than normal amounts of the biochemicals. Since this stimulant is very much related to euphoric effect, going cold turkey off cocaine can manifest as a strong desire to use cocaine, bringing with it mood or mental health disorders. 2. Stopping cocaine without medical supervision is NOT RECOMMENDED. Practices such as withdrawal at home, or do-it-on-your-own cocaine detox are uncomfortable and unsafe. Doctors, nurses, and psychologists that work at detox clinics and treatment centers are trained to monitor your state and manage withdrawal symptoms using pharmacotherapy. Short term prescription of antidepressants or other medications currently used to treat alcohol/opiate withdrawal might help! That’s why it is always best to look for professional help when you decide you want to stop taking cocaine. 3. Lowering doses of cocaine suddenly and abruptly. As with cold turkey detox, this way of coming off cocaine is the most dangerous one. To come off cocaine safely, you need a plan! You’ll need to prepare to cope with the psychological stress of detox and to take actions that support recovery. Individuals who have tried coming off cocaine cold turkey can experience extremely intense symptoms related to mood (suicidal thinking) as well as physical discomfort (extreme fatigue, headaches, and extreme hunger). In some cases, abrupt cocaine discontinuation can manifest life threatening consequences such as hallucinations or psychosis. In order to avoid any undesirable consequences always rely on need medical assistance when considering kicking a cocaine habit. Acute withdrawal from cocaine typically last from 1-3 weeks. Cocaine is present in the body for 72 hours after use. It is detectable in urine during this time, although traces of cocaine can be found in urine for up to 12 weeks in cases of frequent use. If you’re interested to know how long it will take for cocaine to leave your system, there is no a precise answer. The traces of cocaine in your system depend on how frequent and heavy you were as a user. People with extreme dependence on cocaine, after years of use will usually experience more intense withdrawal than those who use cocaine occasionally on binges. Long term users can develop protracted withdrawal symptoms which can take weeks or months to resolve. Although quitting cocaine might be hard, that does not mean that it’s impossible! There are safe and more comfortable ways to get off of cocaine. Some suggestions follow. Amantadine is sometimes prescribed for severe cocaine withdrawal symptoms and may successfully reduce cravings. Bromocriptine is given to patients for reducing mood disturbance and cocaine cravings during detox. Desipramine or a combination of Phentermine and Fenfluramine are prescribed to reduce anxiety and depression. Diazepam is used to reverse anxiety induced by cocaine withdrawal. You can also use OTC meds to manage the discomfort from withdrawal. During the cocaine quitting period,your doctor will test you before and after you quit for drug prescence, you’ll create a tapering plan, and should at your disposal 24/7 in case of emergencies. 2. Tapering cocaine is a longer lasting process than cold turkey, can help certain individuals. Tapering plans are unique for each individual, created along with a doctor, and tailored to a patients’ individual needs. The benefit of tapering can help chronic, high dose users “step down” their use without the jolt of severe withdrawal. 3. Cocaine detox clinics can provide psychological and emotional support. Do not underestimate the power of the mind! Cravings will feel urgent and may lead you to relapse during detox. This is why it’s important to seek the help of a professional clinic. You can check into a detoxification clinic close to your living area, or your physician may refer you to one if needed. Visit SAMHSA online treatment locator. 4. Inpatient cocaine treatment can help you remain cocaine-free for life! If you are addicted to cocaine, checking in a residential treatment center might be one of your best recovery options. Inpatient treatment facilities have structured programs that will help you quit cocaine, remain sober, and succeed in maintaining your health and well-being. Plus, cocaine rehab centers offer medical expertise and counseling as well that you might find extremely beneficial during treatment. Their experts will give you the proper nutrition and medications you need to detox, and allow you the time to rest and get healthy…which can often take at least 60-90 days, or sometimes longer. Is Rapid Detox Appropriate ? No. Rapid detox is not appropriate in cases of cocaine withdrawal. This withdrawal procedure occurs includes detoxing from a substance while asleep (under anesthesia). It is mainly used in cases of opiate addiction or dependence. During rapid detox, patients are intravenously injected by opiate blockers which stop the action of narcotics and opiate drugs as well as injected of other medications that reduce muscle relaxants or anti-nausea medications. Rapid detox takes place in an intensive care hospital. Patients are usually discharged within 48 hours following recovery from anesthesia and assessment of their physical status. NOTE: However quick and effective this type of detox may sound it is NOT recommended for those who are addicted to cocaine. If you are addicted to cocaine checking in a residential treatment center might be one of your recovery options. Inpatient treatment facilities have structured programs that will help you quit cocaine, remain sober and succeed in maintaining your health and well being. Cocaine rehab centers offer medical expertise and counseling as well that you might find extremely beneficial during treatment. Their experts will give you the proper nutrition and medications you need to detox, and allow you the time to rest and get healthy. We understand that quitting cocaine can be daunting. If you still have questions about how hard is it to quit cocaine, please leave your questions below. Additionally, we invite you to share your experiences regarding cocaine withdrawal in the comments section below. We try to respond to all legitimate concerns with a personal and prompt reply. NIDA: How does cocaine produce its effects? My stepdaughter has been using cocaine for six months – she says she takes two lines in the morning and two in the evening every day, and now is finding it very difficult to stop. She thinks she can taper on her own, with support from her family. Do we need to suggest/insist she see a doctor? She is in counselling now – what else can we do to help her quit? Hi Sarah. Yes, quitting cocaine can be really hard and dangerous. You should insist she sees a doctor and also you should consider treatment options. It is advisable that the detox is done under medical supervision, that is the safest option and reduces the chances of relapse. Please feel free to call us on the number above. We have addiction recovery support specialists on our hotline ready to talk you through treatment options.